• Classic, plain yogurt flavor—great as a base for your cooking ideas! 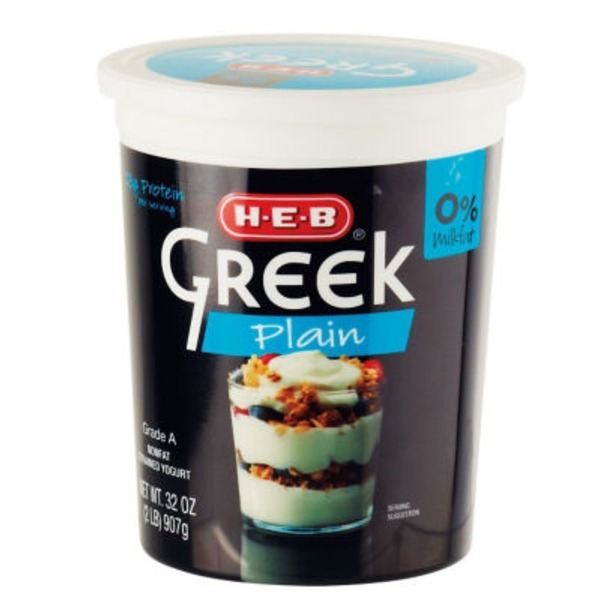 Whether you’re using it as a base for your great cooking ideas or simply enjoying a cold, creamy bowl, our H-E-B Select Ingredients Plain Greek Yogurt is the perfect option for you. Mix into your favorite dips, baked goods, and salads for a unique twist on your favorite recipes.